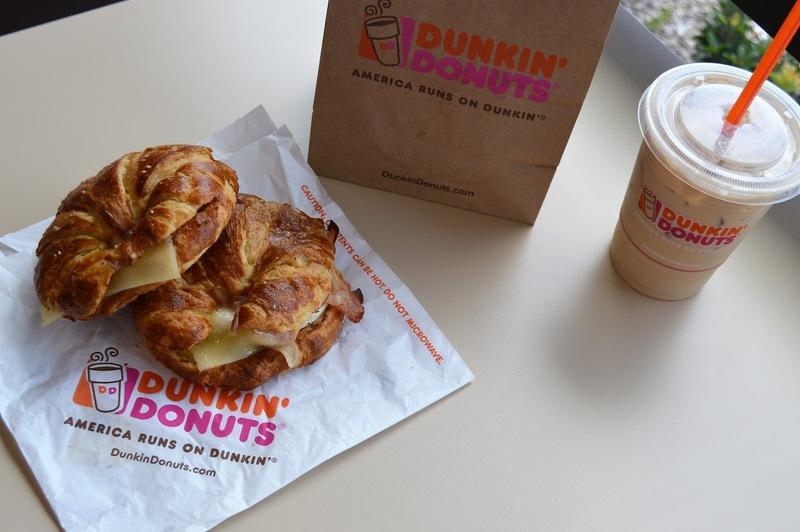 Dunkin' Donuts Debuts New Pretzel Croissant Breakfast Sandwich! - EAT WITH HOP! 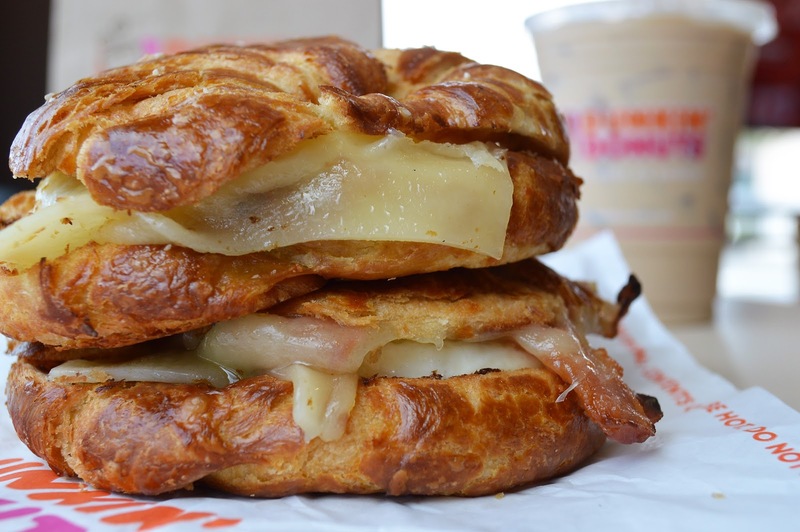 Home / BREAKFAST / CA / CHAIN RESTAURANT / CROISSANTS / DONUTS / FEATURE / ORANGE COUNTY / WESTMINSTER / Dunkin' Donuts Debuts New Pretzel Croissant Breakfast Sandwich! 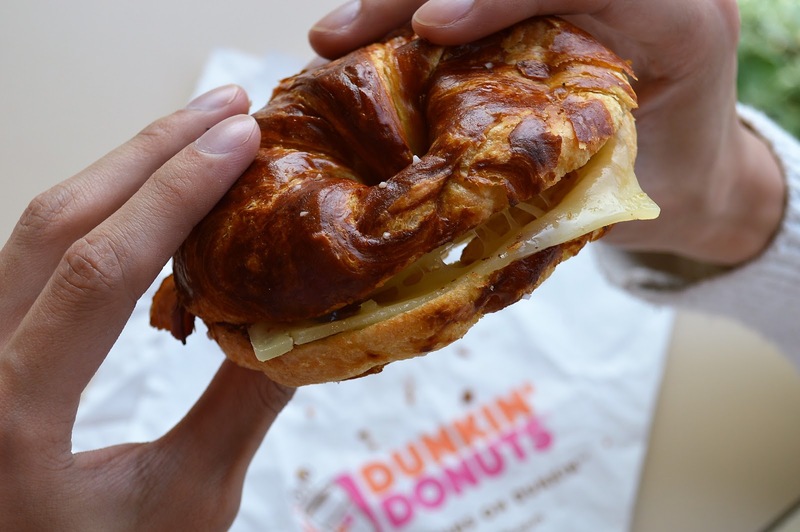 Dunkin' Donuts Debuts New Pretzel Croissant Breakfast Sandwich! I remember when Dunkin's Donuts was still a new thing in the Orange County area. The first ever Dunkin' Donuts opened in Laguna Hills in 2015! Just barely 2 years ago! And dang, I remember the hype was real with everyone talking about it. 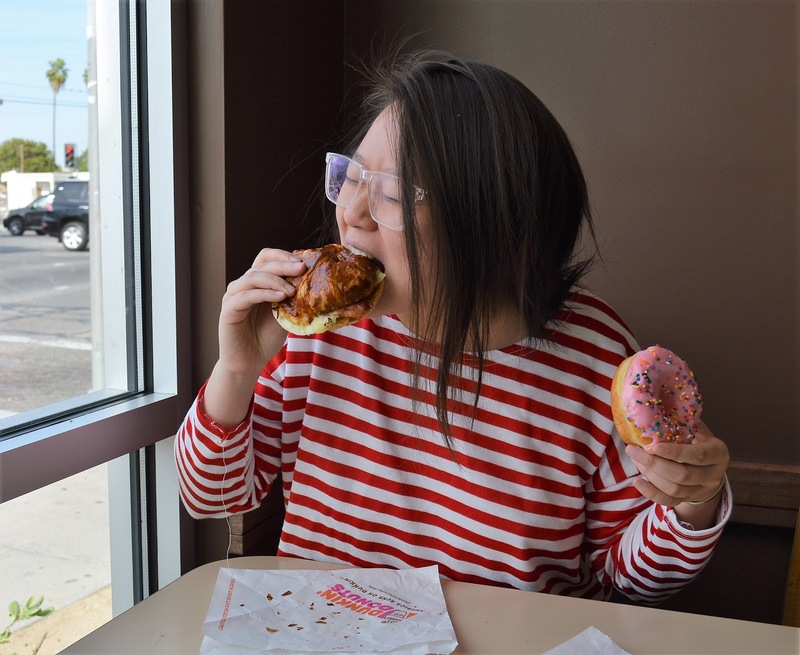 Disclosure: This post is sponsored by Dunkin' Donuts. Don’t sweat though and read on! Because all opinions are my own. What is Dunkin' Donuts like? How do their donuts compare? So many questions! I personally have only really had Dunkin' Donuts in Korea and everything there is super cute and there is even boba at the Korean location! GET IT IN YO MOUTH! 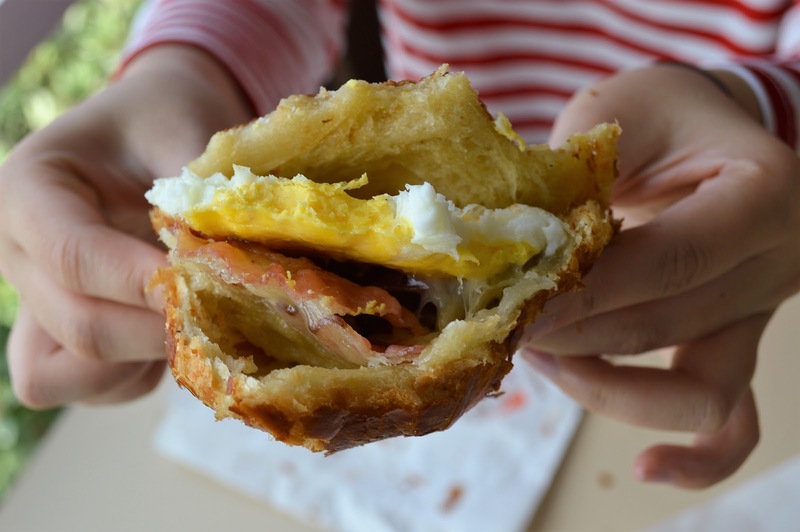 This is the Pretzel Croissant Breakfast Sandwich! Entering the DOUBLE D DOORS! They have many breakfast choices on their menu! Available all day! Woo! This location opens from 5am to 10pm daily! They have a variety of coffee packs that you can buy to prepare at home! Also got the iced coffee! OUR FIRST VISIT TO DUNKIN` DONUTS! Now, there are many more locations opening in Orange County! 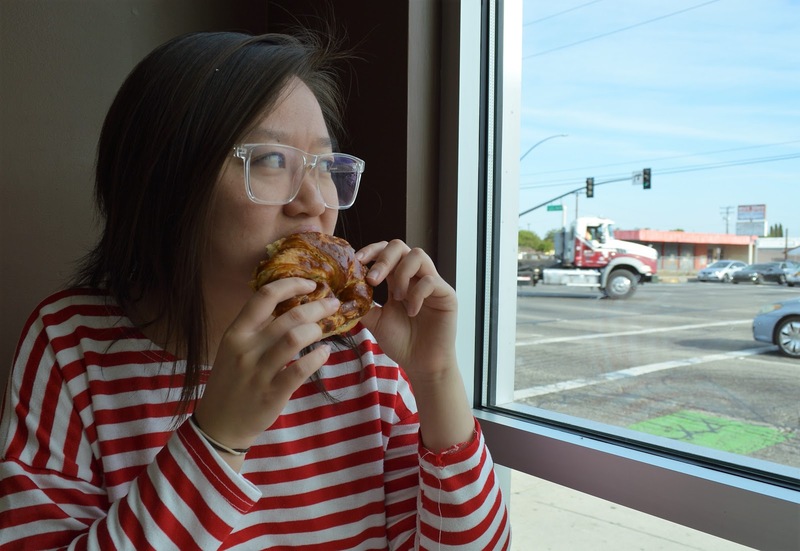 I recently visited the Westminster location near Golden West College and tried one of their new menu items: The Pretzel Croissant Breakfast Sandwich. I also got their iced coffee latte because I always hear people saying that Dunkin' Donuts coffee is good. Some even say that the coffee is better than the donuts. Is this why I see so many Dunkin' Donuts coffee packs at the supermarket?! Just Dunkin' it out with my Taste Bud Kevin! I love croissants! So I was excited to eat this! I also love salty food so I was ready to devour this. The croissant itself was very flaky and crunchy and buttery. It had those salt crystals that you normally see on a pretzel sprinkled on top. My croissant unfortunately, wasn’t as salty or pretzel-like as I had hoped. The salt sprinkled on top was uneven so it only tasted pretzel-like in certain bites instead of in every bite. When I first heard about it, I thought it would be more like a pretzel dough + croissant dough infused somehow. It is actually just a croissant with salt on top. 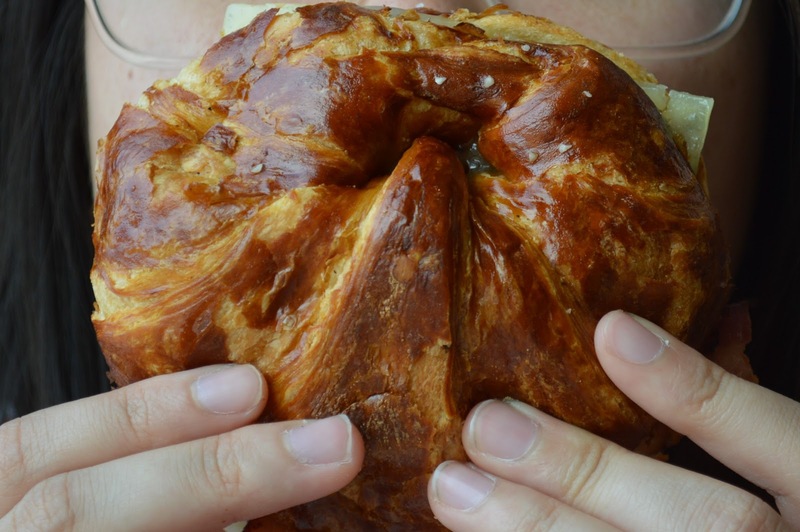 And there you have it; a pretzel croissant. The flavor was a bit underwhelming and could use a `lil something extra. Maybe some sauce? 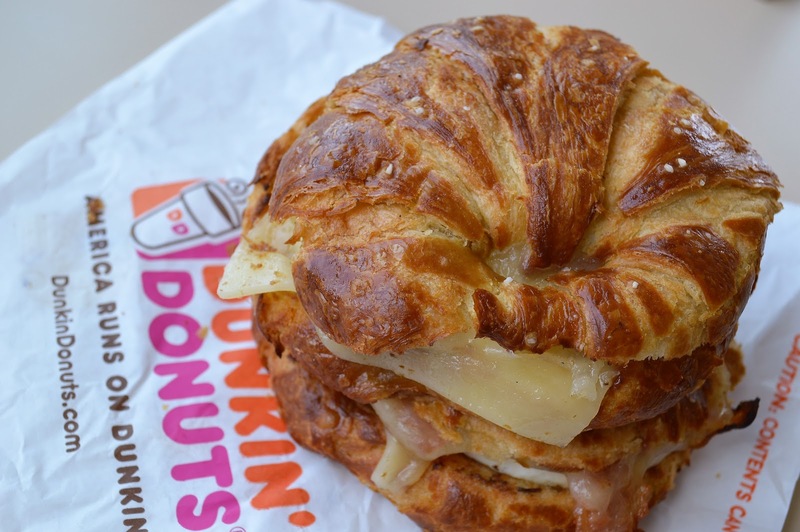 Anywho, even though it wasn’t what I expected to be (an awesome pretzel + croissant fusion), it was still pretty good. And the salt crystals did remind me of a pretzel. I just wished that it was distributed more evenly! 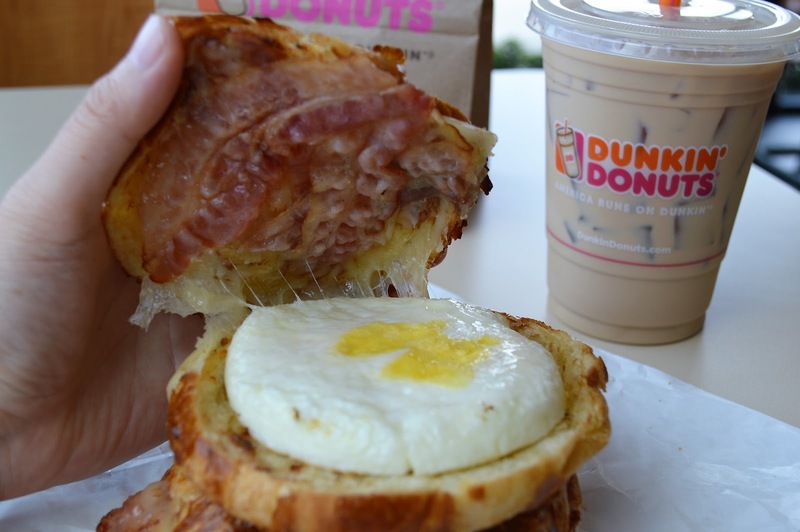 I do like how it has 4 strips of bacon, an egg, and white cheddar cheese! I thought it was sorta small at first…. But after finishing it I was full! Reasonable amount of bacon: 4 strips! Now, let’s talk about the Iced Coffee Latte. First of all, I am absolutely not a coffee person at all. But I am always down for Vietnamese Iced Coffee (a.k.a. crack) because it is super sweet and yummy. I don’t even taste the bitterness. But I do feel the jitters since Viet Coffee is extremely strong! The Dunkin' Donuts iced coffee was on the lighter side, in comparison to Viet Coffee. I got it the way it comes normally and didn’t add any sugar myself. I do wish that I had some condensed milk conveniently on me or something to add into the drink, because even though it wasn’t bitter and quite milky, it wasn’t sweet. I would enjoy it much more if it was sweeter! So next time, I would probably go for some sugar packets! Or bring condensed milk with me…. The drink didn’t have much ice, so that’s good for those coffee lovers who want to make the most out of their $$. I know many people always raving about how addicting the coffee from Dunkin' Donuts is here. It actually seems like Dunkin' is more known for their coffee than donuts since all I hear about is the variety of flavors of coffee and how good it is! Something to keep in mind... ! Overall, I probably wouldn’t order the coffee again since I am not a coffee drinker anyway… but I saw that they have new fruit tea drinks! What? Why didn’t I see that??! They had a big poster advertising it outside the store yet I didn’t see until after I left. I know what drink I am gonna order next time…! 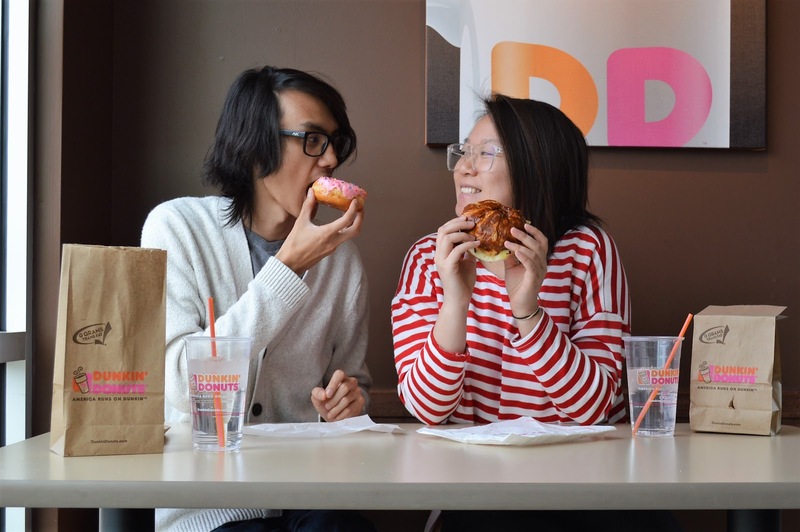 Are you a Dunkin' Donuts fan? Do you run on Dunkin' ? I love how that rhymes. “America Runs on Dunkin'” is the slogan! The popular chain is always innovating their menu to offer more choices and unique items!